Minerals are utilized in almost every aspect of our day-to-day lives. In similar fashion, the educational visual designs of infographics seem to be popping up every day. This project asked students to create infographic-inspired posters featuring the countries that hold the main mineral reserves, some common uses, whether the mineral is scarce or abundant and whether the mineral is metallic or non-metallic. Did you know that it takes thirteen liters of water to make one piece of standard loose-leaf note paper? Using the online take-action project, Imagine All The Water, this student-lead project had the class pick their own statistic and create their own display to be featured in a main hallway of the school. 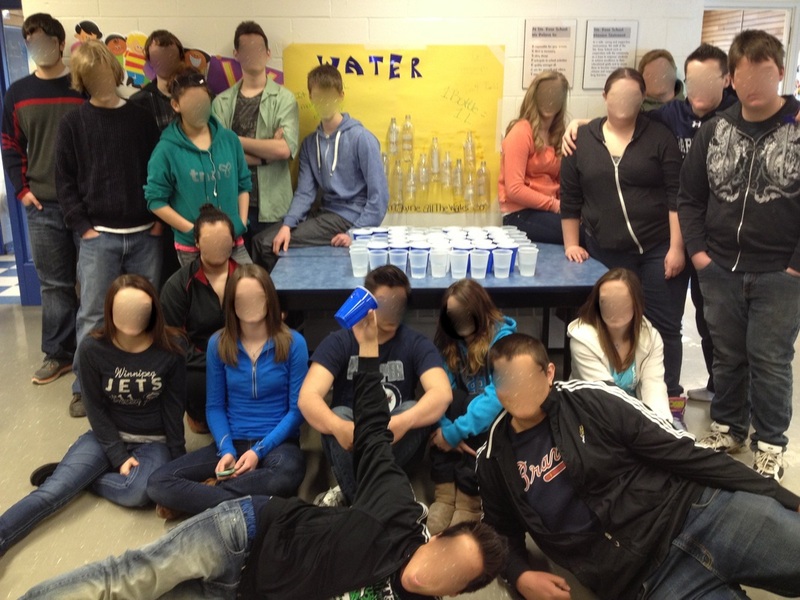 The display featured an informational poster and a visual component made out of cups filled with 13L of water. The discovery of fossil fuels peaked around the 1950's and has been steadily declining ever since. Consumption of fossil fuels, on the other hand, has been steadily increasing. Based off of in-class information and personal research, students designed posters that were specifically created to look like they were featured in the 1950's but include information from modern-day knowledge. This assignment was developed by students through an anonymous activity submission form. Students created 3-dimension posters illustrating the top five countries with the most access to trees available for harvest, the top five counties with the least access, and the top five countries with the highest levels of deforestation.